WHAT IS THE GOAL OF SKIN REJUVENATION AND WHY CHOOSE DERMAROLLING/ MICRONEEDLING? The Goal of any Skin Rejuvenating Treatment is to optimize skin cell function, break down scar tissue, strengthen the skin barrier and induce regenerative healing while preserving the integrity of the epidermis. This is done through initiating the wound healing cascade causing the release of epidermal growth factors and increasing natural collagen of the right type (woven natural collagen as opposed to scar producing collagen). Dermal needling is the only Skin Rejuvenating Treatment that does all this and respects all 3 main target cell types (keratinocytes, melanocytes and fibroblasts). As opposed to other treatments such as laser resurfacing, dermabrasion and chemical peels, “dermal needling eliminates the risk of melanocyte heat injury and actually optimizes cell function, making it the ideal treatment for all skin types.” This means that Microneedling does not carry the risk of causing hyperpigmentation post procedure like other Skin Rejuvenating Treatments can. DERMAROLLING, Microneedling or CIT (Collagen Induction Therapy) is the only Skin Rejuvenation Treatment that maximizes penetration of essential cell nutrients and maximizes release of growth factors associated with the positive aspects of wound healing simultaneously. Microneedling with the use of a Dermaroller or Automatic Microneedling Pen is clinically proven to be effective in healing damaged skin and can dramatically improve skins appearance making it appear more youthful–with multiple treatments and proper use of Dermaroller or Microneedling Pen and following protocol regarding skincare products and supplements to maximize collagen production and healing. 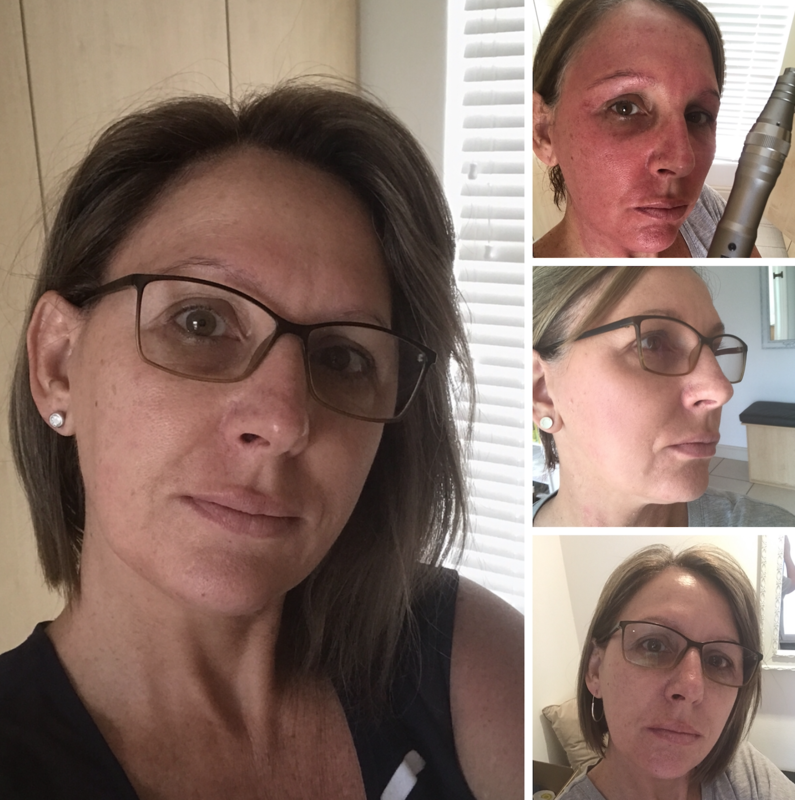 My own before & after pictures – Micro-needling with a pen device – results after one week! At 53 I’m loving my skin and results micro-needling gives! Microneedling into the deeper layers (reaching the dermis) leads to the release of growth factors which stimulate the formation of new collagen and elastin. This new collagen is normal woven collagen rather than scar collagen. In the case of scars, lines and wrinkles, the scar tissue is broken down through microneedling and as the new collagen is produced, the scars, lines and wrinkles are slowly filled in with new collagen. The results are not immediate as it takes time for the new collagen to form. 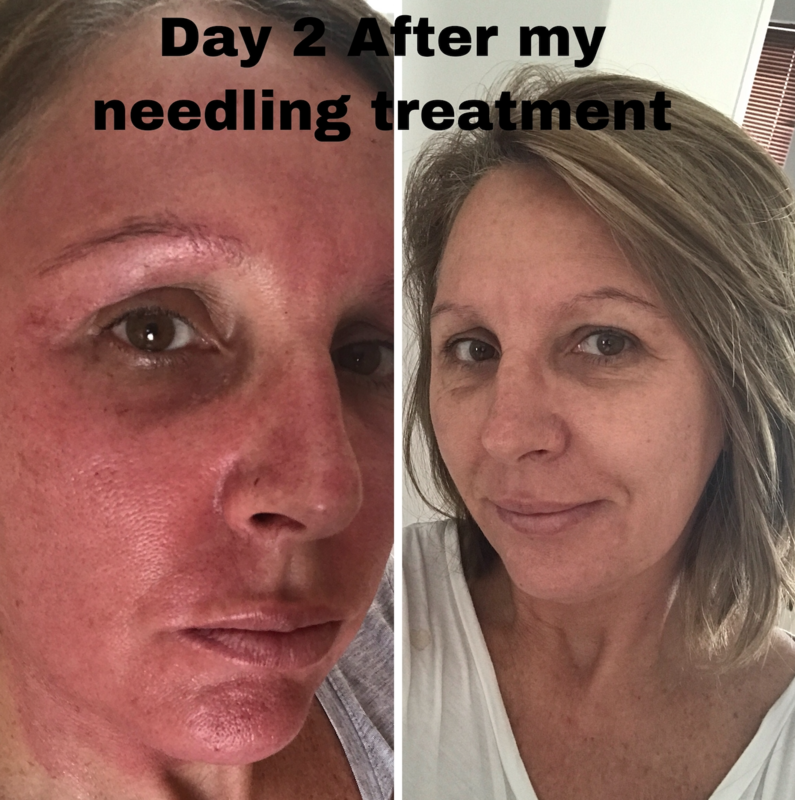 In the case of microneedling, more often isn’t better. The longer the needles used and the deeper into the dermis they go, the more time is required between treatments to allow the wound healing cascade time to complete and form new collagen. More frequent use can be counterproductive as it can produce a state of chronic inflammation which is not at all beneficial for our skin. 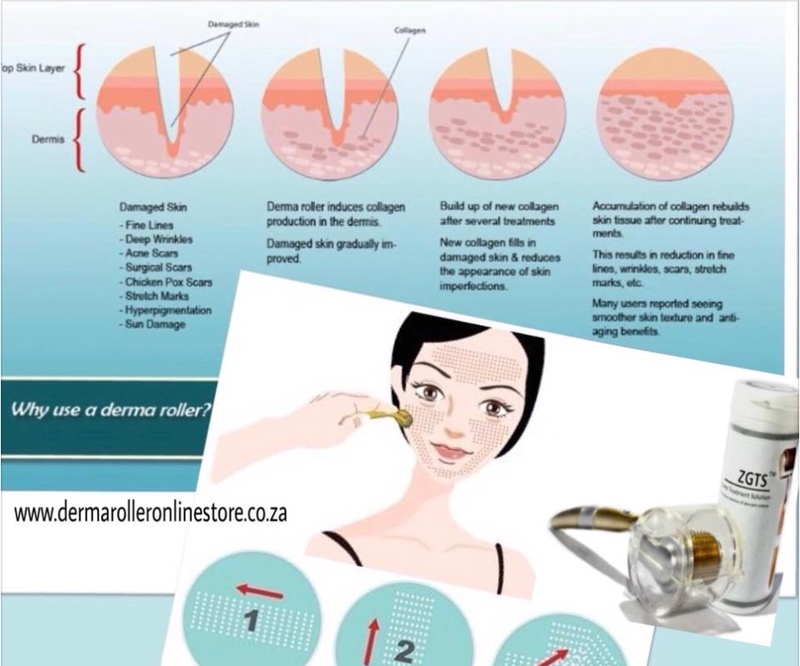 You will see varying guidelines on how often to use a dermaroller, Dr Desmond (Des) Fernandes and leading expert in the field Dr Lance Setterfield recommend a 0.25 or 0.3 can be used every other day or so to dramatically increase absorption of products enhancing their effects. 0.5 just reaches the dermis and can be used weekly.